I have been in my new position at my company for about a month now. It's been awesome! I really like everybody I work with and it's a great team. It's not perfect- like any office environment but it's not pure misery. I am really glad I took a less stressful position. My boss pretty much rocks. So, the other day I was dealing with an issue with a patient's insurance and she said "Watch them still deny it" and started laughing. I said, "well if they do- I'm gonna come at 'em like a spidermonkey jacked up on Mountain Dew!". She started laughing and said that would be awesome but what's a spider monkey. I said I have absolutely no clue but shake n bake. And I said wait. Have you seen Talladega Nights? I said Oh I should have warned you... I speak in movie quotes. It's so ridiculous. Ha ha ha ha. One of the IT guys was talking about going to Alaska and I asked him if he was going to hunt wolverines with a friggen 12 gauge. He didn't think it was funny because apparently... wolverines aren't real. Duuuuuuuuuude. Seriously- knock if off and make yourself a dang quesadilla. People do not seem to appreciate that there is a movie quote for every situation. EVERY SITUATION! And yes... I am like Mike Bolton on Office Space. Nerdy looking white chick rapping. You have to really give it up to the writers and the actors for being able to make a simple line completely memorable. It really has to be a perfect pairing in order for it to work. Imagine if Jason Biggs was Napoleon Dynamite. Yeah, me either. It would never work. Napoleon's lines would be just meh and not nearly as quotable because Jon Heder nailed the look, his voice, his mannerisms and the way he delivered every line made it work. Imagine if Matthew McConaughey was Dr. Evil.... Nope. Nope and more nope. The happy marriage of writing and actors/actresses have to be a perfect pairing. So- to the writers, the casting agents/directors and actors- thank you for providing me material when I need a perfect response. 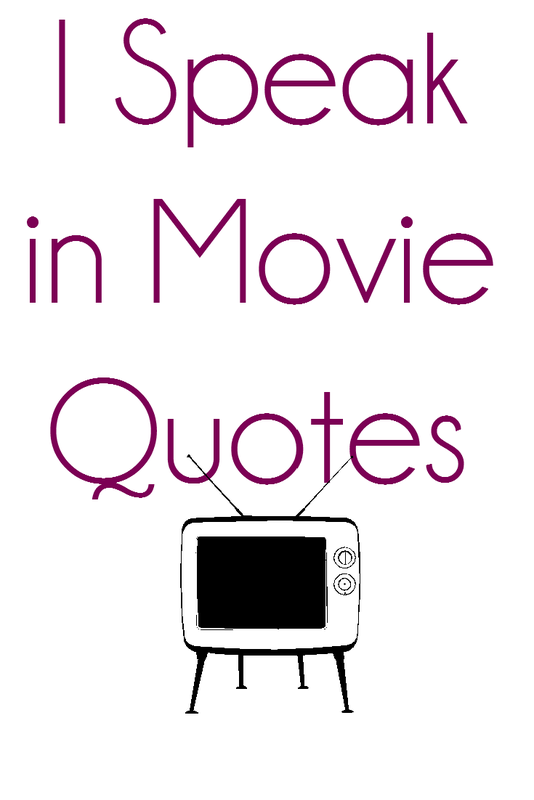 Do you ever randomly quote movie lines?